There are no license or registration requirements. There are no time of day restrictions. The taking of sponge crabs is prohibited. 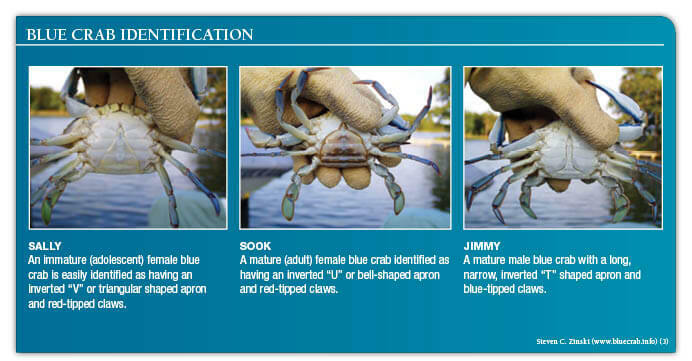 Mature female crabs—no minimum size. Two bushels per boat if two or more individuals are on the boat. No more than 25, or a combination of 25, collapsible crab traps or crab net rings, if two or more persons are in a boat. 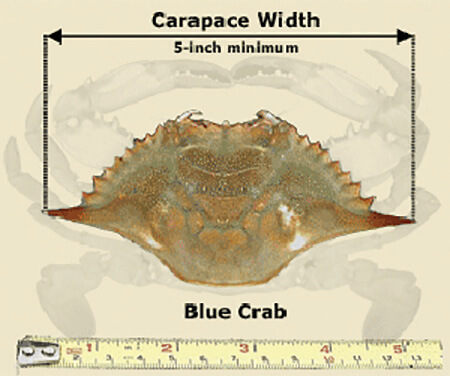 Crab pots must have two cull rings, one measuring at least 23⁄16 inches and one at least 25⁄16 inches, located in the exterior side panel or the top panels of the pot. Pot cull rings must be closed from April 23–May 31. 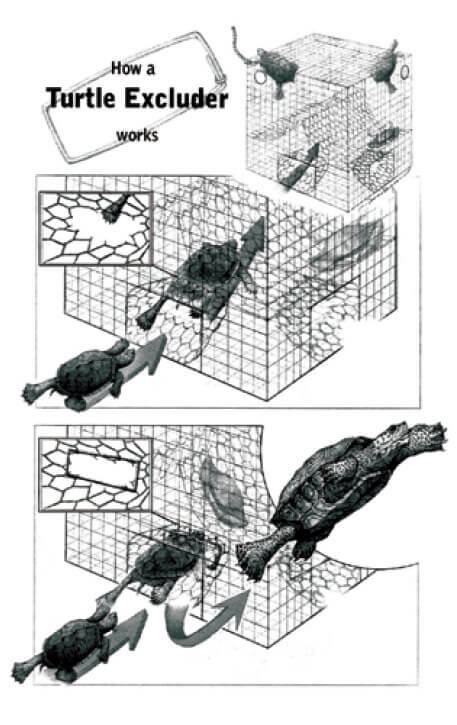 Crab pots must have a turtle excluder device attached to each entrance or funnel in the lower chamber constructed of wire or plastic, rectangular in shape not larger than 1¾ inches high by 4¾ inches long.